One of our more colorful nonagenarians stopped by our front desk this week and asked the sister on duty: "What are those lights on the front lawn?" The sister answered, "Those lights are on our peace sign." 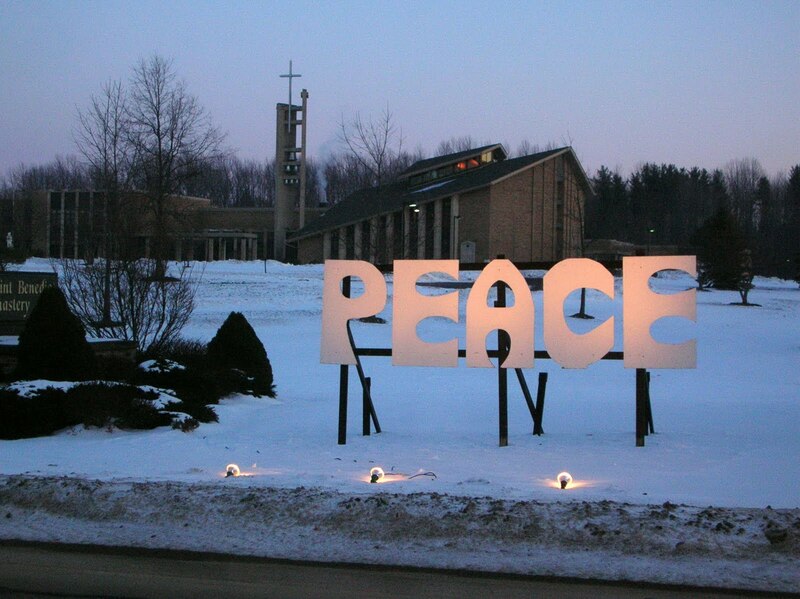 "Yes, P-E-A-C-E, the peace sign that's at the front entrance every Christmas?" "Oh.......Are we still for that?" Lots of Christmas photos here on our community's website if you haven't browsed lately. And the new AIM USA newsletter is now online here. 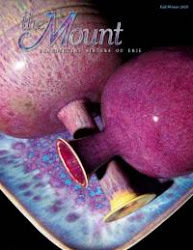 Happy 2011 to all....and thanks for being a reader of "Light Through Stained-Glass Windows." 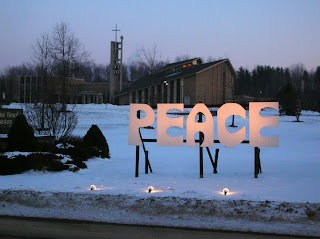 Let us all pray for peace this Saturday...New Year's Day but also a World Day of Peace.